Data center migrations are involved projects that require detailed preparation and planning. In order to achieve success, you need to know how to start the project, the right steps to take, and the tools that will ease the process instead of complicating it. 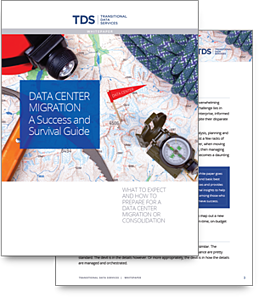 How should you prepare your organization for a data center migration? What should you expect during the move? How can you overcome unexpected challenges along the way? What can you do to leverage the experience of others? How can you to identify and triage risks to create a calm, orderly event? "This white paper goes beyond basic best practices and provides additional insights to help you achieve success."